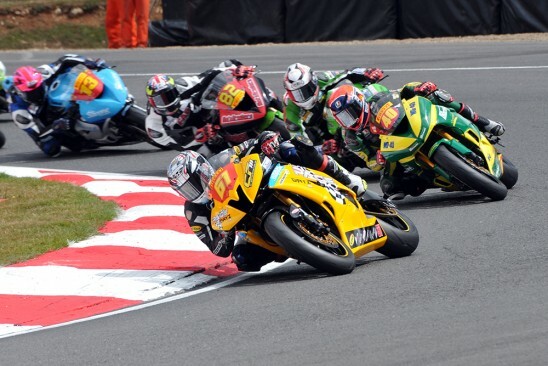 The second visit of the season to the Brands Hatch circuit in Kent brought 3 more podium finishes for the CF Motorsport squad as their season of success, that has seen British Championship victories in both Supersport and Superstock, as well as podium in World Supersport, continue. Kyle Ryde was once again on form all weekend aboard the Pacedayz.com European Trackdays Yamaha, claiming a front of the grid start ahead of Saturday’s sprint race before securing his 9th podium finish of the year with a fighting 2nd position at the flag. The result in race one consolidated his position in the series and with his best lap in the opening encounter being good enough for another front row start, optimism within the team was high ahead of Sunday’s ‘feature’ race. The feature race has seen the youngster who turns 18 today (Wednesday) running at the front all season and apart from the mishap at Snetterton when he was taken out, a win, two seconds and a 3rd have been his reward. Sunday’s race was no exception with Ryde once again running at the front eventually claiming another 2nd place, adding another valuable 20 points to his championship tally. 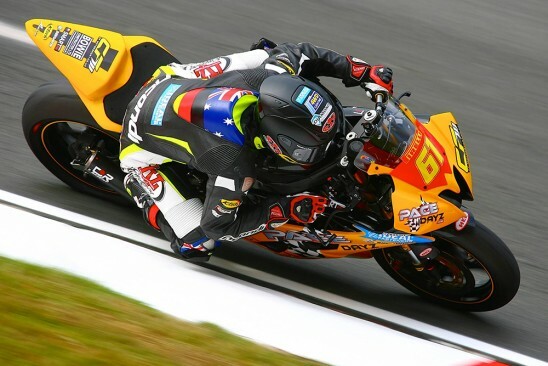 The result bringing Kyle and the CF Motorsport squad their 10th podium finish in 12 races – more than any other rider/team combination on the British Championship grid! In the championship Kyle and the team remain second overall, a mere 8 points behind the championship leader with 12 races to go. 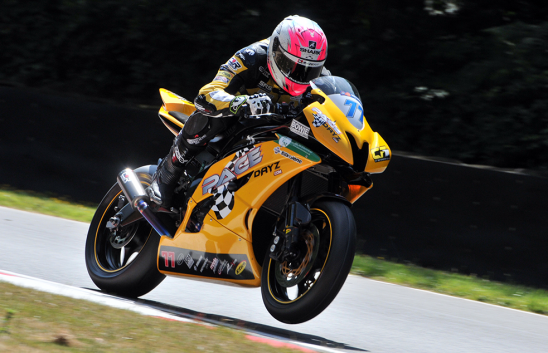 Kyle Ryde – 2nd position. twice: "Brands was a awesome weekend for myself , the championship and my confidence but the results were not what I wanted them to be. That’s not my fault I rode my best but Luke was unstoppable this weekend and fair play to him. I was pleased with race 1 because of my start and my front tyre issue, but the second race I was a little more disappointed because I thought we had a great chance of winning but two second places will do because we all know that points make prizes. 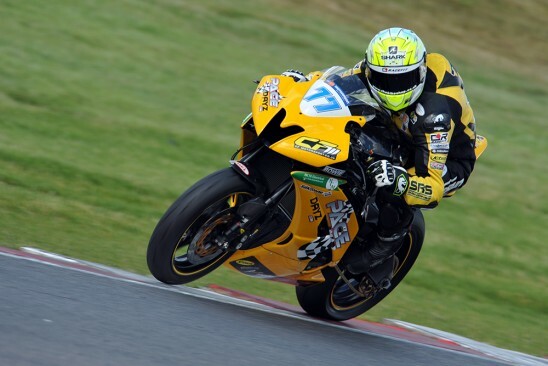 Big thanks to Craig and the CF Motorsport team once again for the great efforts and support and lets think ahead to Thruxton"
The Pirelli National Superstock championship race was by the far best of the season for CF Motorsport, with both Ben Currie and Ross Twyman in the mix throughout. 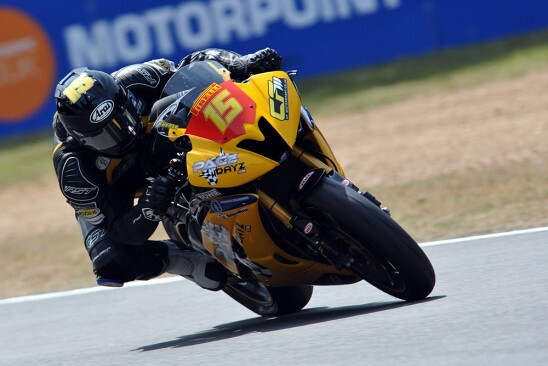 Currie qualified his Pacedayz.com Yamaha on Pole Position, with the fastest ever Superstock lap of the Brands Hatch circuit, edging out Tarran Mackenzie by 0.052s with Twyman lining up on row 3, qualifying a solid 9th and only half a second from the front row. 14 laps awaited both riders on Sunday with both Currie and Twyman not disappointing. The qualifying result had indicated that it would a close run thing and round 6 of the series lived up to expectation with Currie and Pole Sitter Mackenzie swapping places at the front throughout. As the last lap began, the pair, who had opened a healthy margin over the chasing pack couldn’t be separated and in the run to the flag it was Ben who just missed out on his second win of the year by 0.047s, in one of the closest Superstock 600cc races of all time. The result however was another indication of how competitive both Currie and CF Motorsport are in the category where they triumphed 12 months ago. Currie also clawed back valuable points on championship leader Mason Law who could only manage 4th. The points gap is now 9! Ross Twyman riding the second Pacedayz.com entry also had a positive and encouraging race, running in the leading group from the start, snatching 6th on the final lap. There was disbelief after the race however as he was removed from the results because of a misunderstanding with a technical sticker which had not been placed on the ECU. Nevertheless this cannot detract from Ross’s strongest showing of the season! Ben Currie – 2nd position: "Another good all round weekend, qualified pole for the first time and finished in second place by the smallest of margins. I have closed in on the championship lead and am now only 9 points off. I’m really starting to get comfortable on the Pacedayz.com R6 and am really looking forward to getting to some of my best tracks. Huge thanks as ever to Craig, Jayne and the whole CF Motorsport crew. Top job once again, bring on Thruxton"
Ross Twyman – CF Motorsport: "This weekend was positive right from Free Practice with me having finished further up than at any race of the year so far. Q1 was good and I ended up 9th, which meant a row 3 starting position. Come the race I made a decent start and was running 8th. After moving into 7th I found a rhythm and pulled myself into 6th on the last lap! I want to say a massive thanks to Craig and everyone at CF Motorsport as they have worked so hard to help me get back to where I know I can comfortably be. Also a big thank you to all of my personal sponsors. See you all at Thruxton"